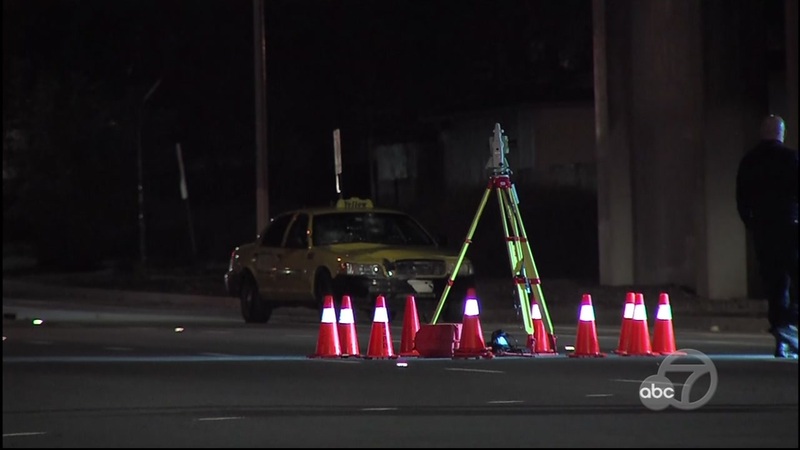 SAN JOSE, Calif. -- Police are investigating a collision that killed a pedestrian in south San Jose Tuesday morning. The incident was reported just before 3 a.m. at Monterey Road and Capitol Expressway. A taxi driver traveling south on Monterey Road hit a female pedestrian in the roadway. She was pronounced dead at the scene, police said. Traffic delays in the area are expected to last until 8 a.m. as police investigate the crash and clear the intersection.